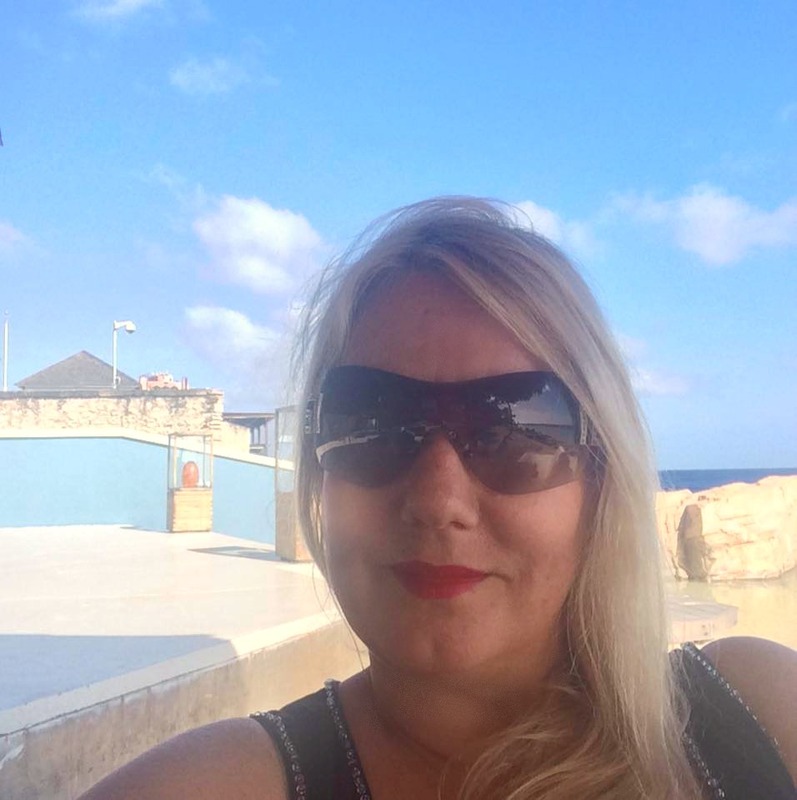 Since I’ve achieved the milestone of 500 postings and also my three years of blogging anniversary I thought I would have a review of my recipes and pick my favourite 10 food recipes. This proved to be near impossible so finally got it down to 20 which took me a while too! What I also liked is the memory that each recipe evoked. Where I was living and what I was doing at the time. We have moved around so much in the last three years, that each recipe is a time capsule for me. I having the nagging feeling that I have missed something out too! Especially the raw Key Lime Dish as that was delicious! Ooooh, and cauliflower wraps..! I now need to get the Chief Taster to pick his favourite recipes. I am curious to how they vary, especially since he eats meat and I do not! He’s not allowed to look at my list though, until he has given me his. (A task for him this weekend I think!). 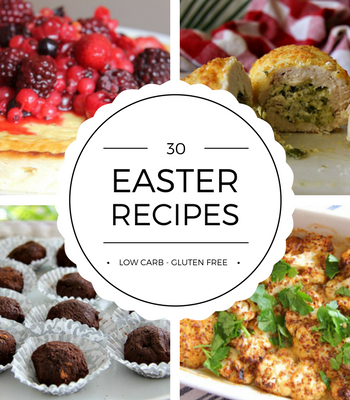 It’s made me want to spend a weekend cooking some of the others not on the list though, just to revisit them..and there are photos on some that definitely need revisiting! Must improve this! 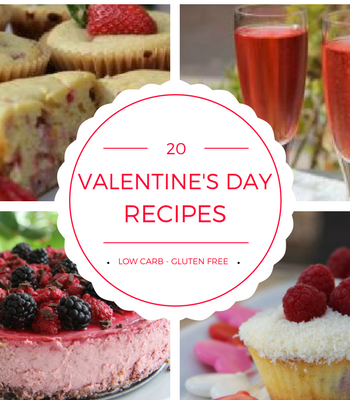 Would love to know what your favourite recipes are too! Drop me a line! Aubergine (Eggplant) Parmesan – This is just so delicious the next day. Even better cold for some reason. It’s my version of the next day “shame” meal…ie..left over pizza the next day! I MUST take better photos of this as the current ones do not do it justice! Layers of coated eggplant before the cheese! 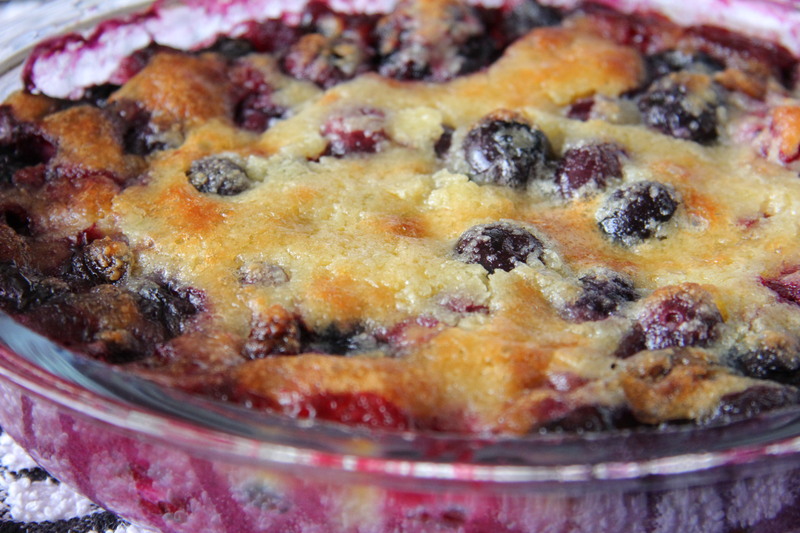 Blackberry and Blueberry Cobbler (Almond Flour) – The perfect comfort food on a rainy Sunday. 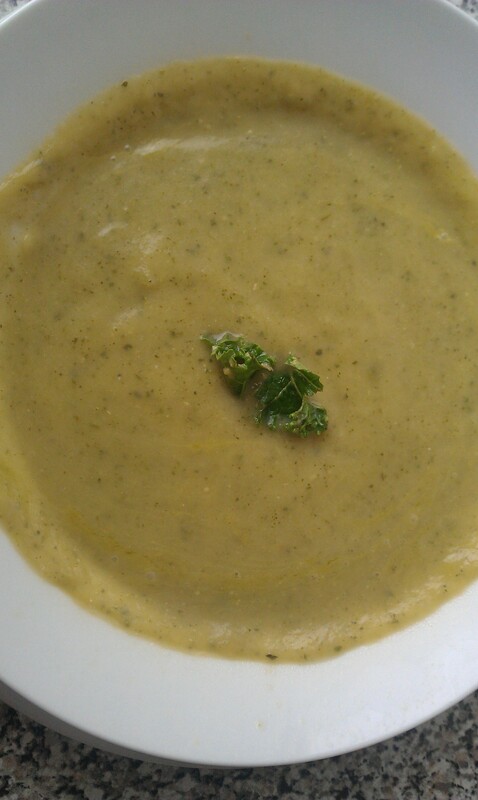 Broccoli and Coconut Milk Soup – So simple but just so tasty. (Think I need a better photo though..). Cauliflower and Egg Salad (Version 2) – We have been eating a lot of this recently – never gets dull! The joy of cauliflower in fake potato salad form! 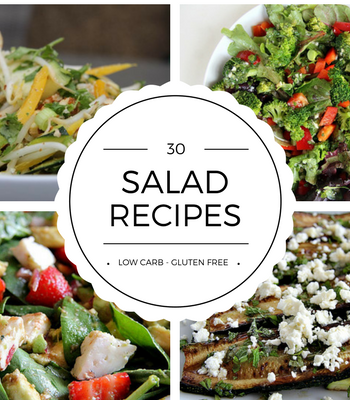 Take it to a pot luck and watch it disappear! 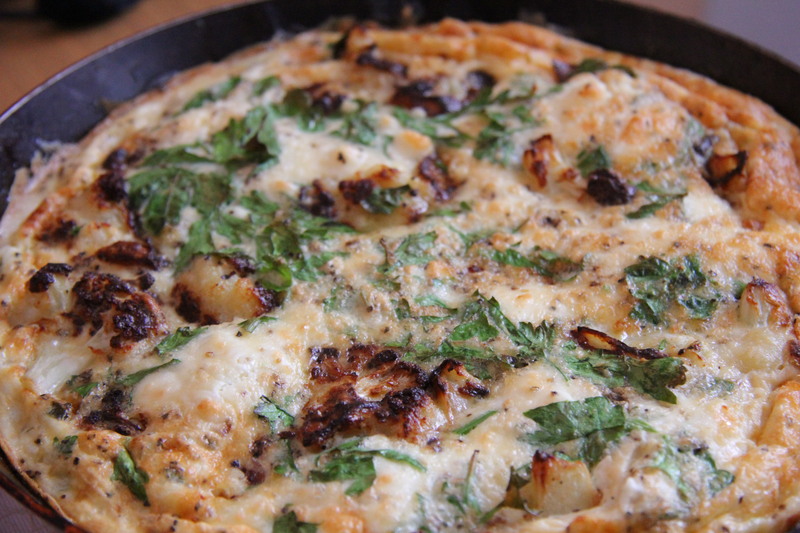 Cauliflower and Feta Frittata – I love a Frittata as an easy supper dish and this is by far my favourite. The golden cauliflower against the Feta is just perfect to me. 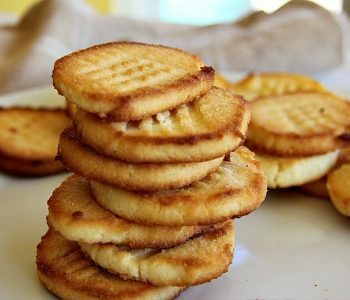 Cheese Biscuits (Gluten Free) – Ah, the crack cocaine of the savoury biscuit world for me. The slight kick of the cayenne pepper goes so well with the buttery, cheesy biscuit. Very moreish. Fantastic with a glass of red wine too! 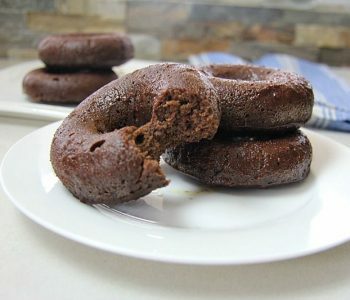 They just melt in your mouth…try some, you won’t be disappointed! 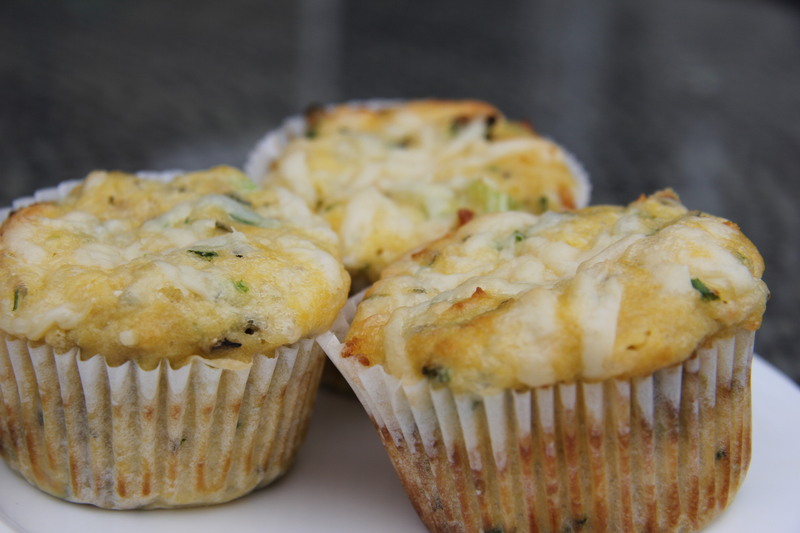 Cheese, Chive and Onion Muffin (Coconut Flour) – I love the flavour combination of these. So simple yet, so fulfilling for me. 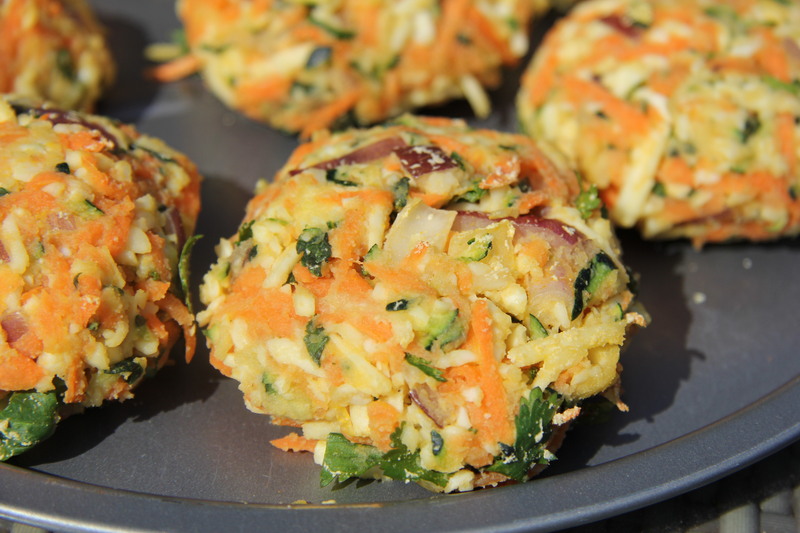 It’s the healthiest version of a cheese and onion pie for me! 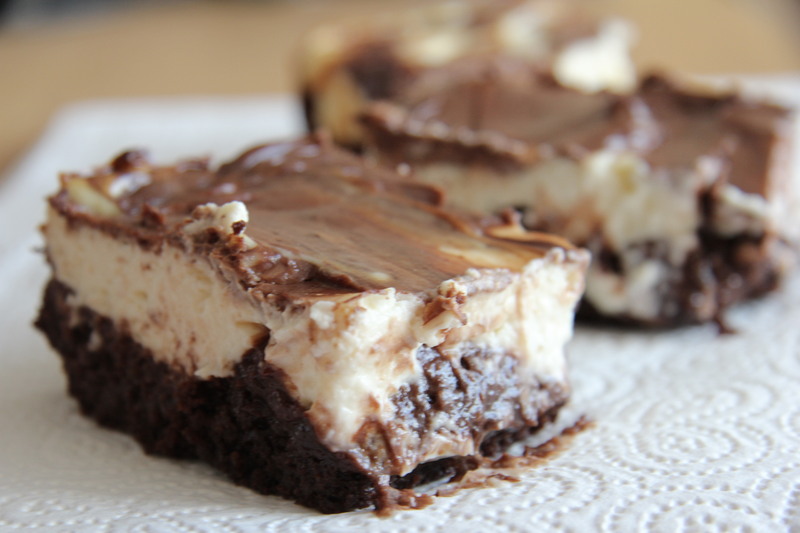 Cheesecake Brownie (Almond Flour) – Cheesecake AND brownie! 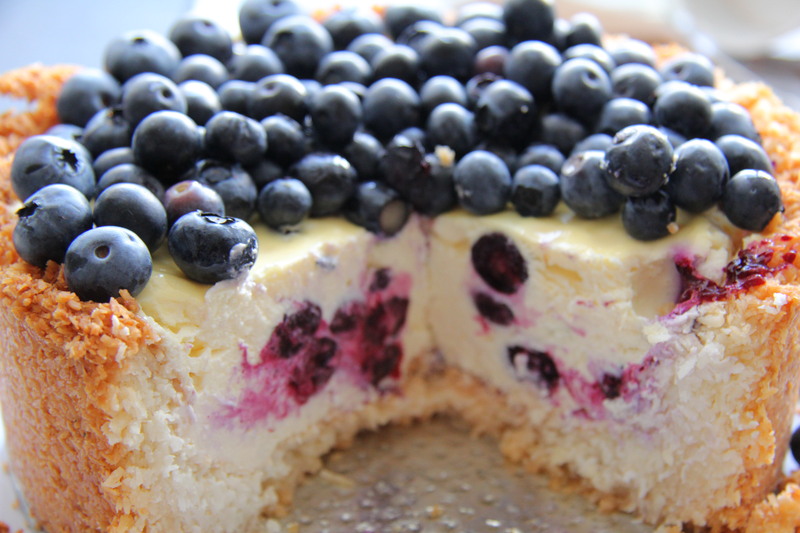 I rest my case…I can say nothing more but I’ll have another thank you..
Coconut and Blueberry Cheesecake – As well as how pretty this looks, it combines my favourite cheesecake recipe along with coconut which gives an added sweetness. 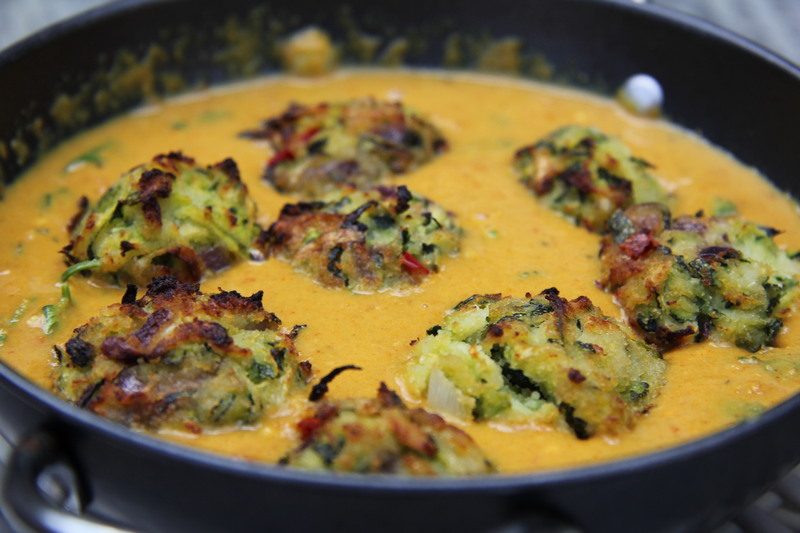 Courgette (Zucchini) Balls in a Spicy Coconut Sauce – One of the tastiest ways to eat zucchini…the sauce is just delicious and it reminded me that I have a few zucchini’s in my fridge that I need to use. This is now on the menu this week! 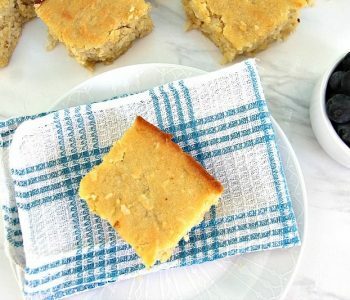 Favourite Low Carb/Gluten Free Bread Recipe – Almond OR Coconut Flour (tastes and looks like the real thing!) – OMG – what can I say about this! 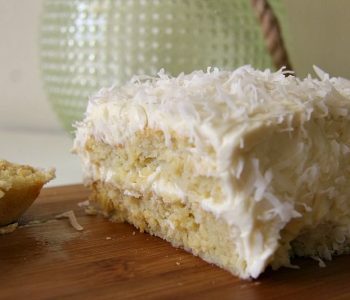 My weekly favourite to bake. Have this on my permanent weekly bake. 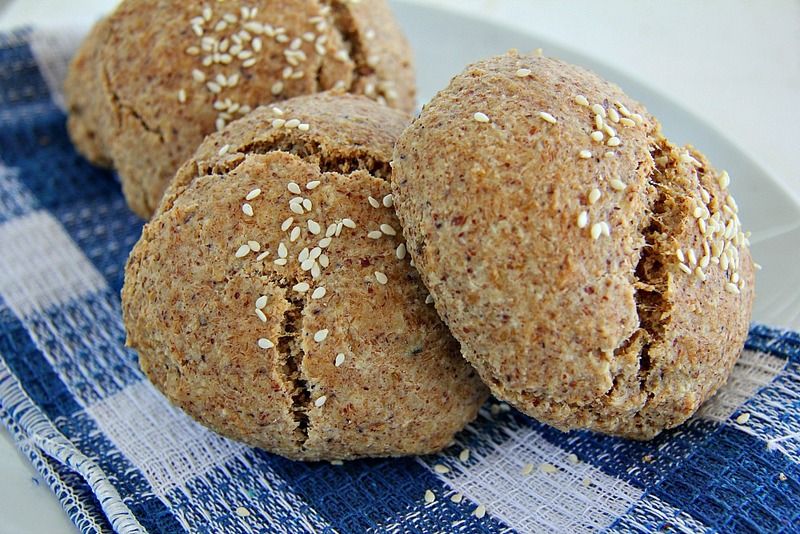 The best gluten free/low carb recipe ever! Thank you Maria for this one! 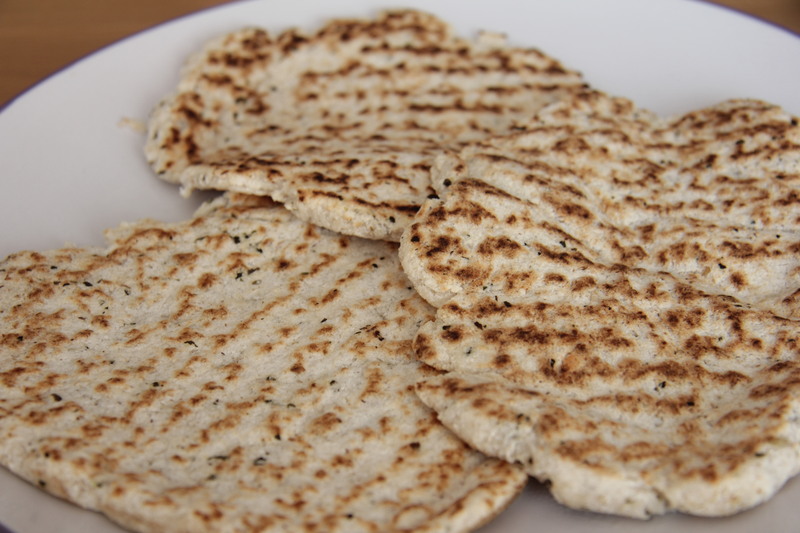 Flatbread (Coconut flour and Psyllium) – This is our favourite for a Friday night/can’t be really bothered to cook but want something tasty. It’s our staple “pizza” base recipe or basically slather it with vegetables and cheese! 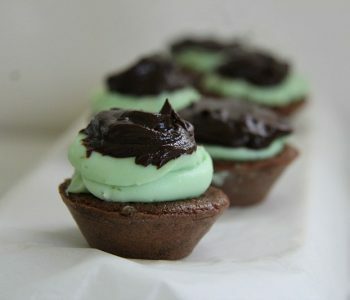 Soooo easy to make! 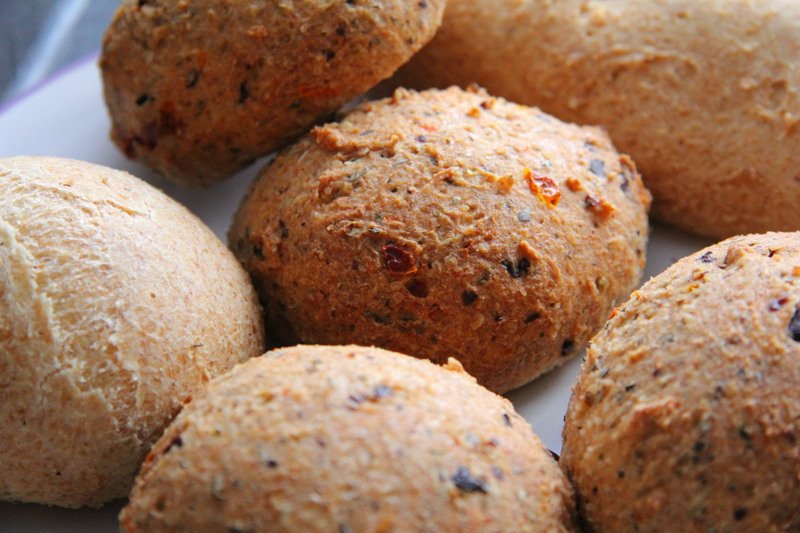 Halloumi Burgers – Inspired by a visit to London Borough Market…these have wonderful memories for me and are just a taste of summer to me. Leek, Almond and Cheese Loaf with a Lemon Pea Layer – This is probably the oldest recipe I have as I have been baking it for the Chief Taster and I for many years. The first time I made it we ate it all in one night as we could not resist it. I now am impatiently waiting for leek season! It has a gorgeous taste. 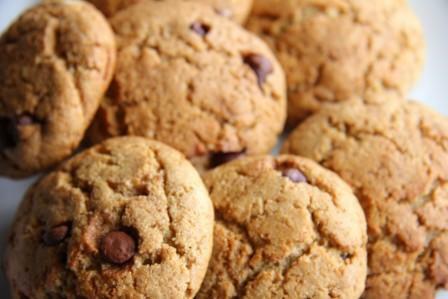 Peanut Butter and Chocolate Chip Cookies – Just so easy to make, even the Chief Taster could do it. So simple, yet so tasty. 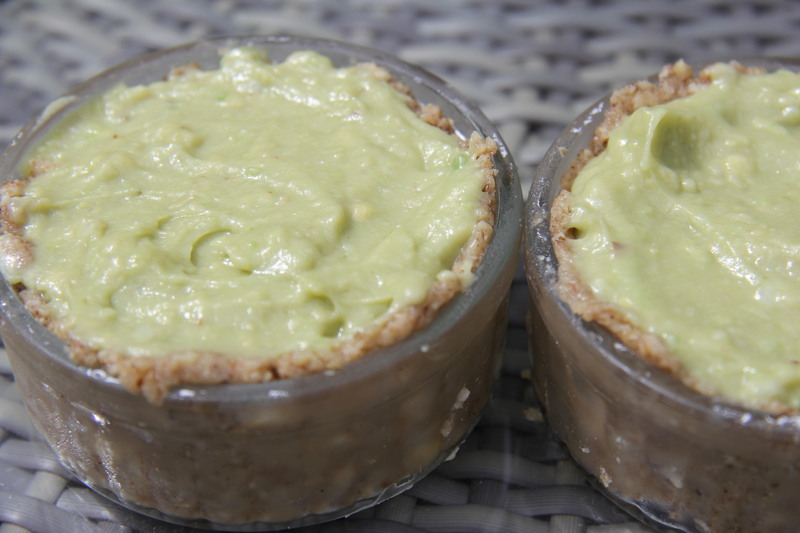 Raw Key Lime Pie – So far, is the best Key Lime Pie I have made. Just love it! Roasted Cauliflower – A simple dish, yet a classic. I have often made this when looking in the fridge, hungry and wondering what to do with the cauliflower I have there (a stable part of my weekly shop). Easiest thing to make, throw on the seasoning then scoff the lot with no shame! Roasted Red Peppers with Halloumi Cheese – Although this can be baked in the oven, it is my staple for BBQ. Have never had one without this dish. My close friends will be very acquainted with this one! Zucchini, Pea and Mint Soup – Bright green, very tasty and full of goodness. What more do you want in a soup! This list was extremely hard for me..as I suspect like an Emmy/Oscar winner giving their speech, I have left someone out! 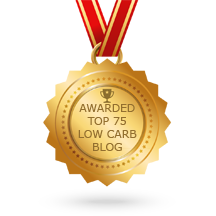 Eat, enjoy and a big thanks for following the blog! Glad you enjoy the recipes as my as I and the Chief Taster do!